Note: While this article was first published in 2012, we make changes to all our study schedules as needed to keep them updated! OK, you are starting more or less from scratch, and you want to prepare for the GMAT in three months. You need a strategic plan to organize yourself. I designed four different versions of the Three Month Plan, and I need you to start with a little self-diagnosis. Which sounds most like you? 🙂 If it would help you decide, you can take the Magoosh GMAT Diagnostic Test. (A) 3 Month GMAT Study Schedule for Beginners: Help! Math and verbal both scare the living bejeebers out of me! I need all the help and support I can get! Help! (B) 3 Month GMAT Study Schedule (Math Focused): I have a natural affinity with the verbal, but the math is far less intuitive for me. I would like to focus more there. (C) 3 Month GMAT Study Schedule (Verbal Focused): Me a math nerd. Me think all math easy. Me have big verbal problems. One day, me will talk good. (D) 3 Month GMAT Study Schedule for Advanced Students: I actually feel reasonably comfortable with math & verbal; if I took the test today, I’d get around 600-650. I’m interested in refining my understanding, and getting into the upper 700s region in the next twelve weeks. FAQ: How do I know whether this is right plan for me? Because I am assuming you have already a strong background, this plan does not include watching many lesson videos and does include more practice problems, included some very challenging material. Once you join Magoosh, just scan down the titles of the Quant & Verbal lesson videos. If you see very few on that list that you feel you would need to review, then this is definitely the right plan for you. One could still follow this plan if one had to review, say, 10% – 20% of the video lessons in the Magoosh lesson library, assuming one knew everything else cold. If you have a good deal of new material to learn, or have to to review in several modules, then you will be better served by another plan that guides you methodically through the lesson videos. Following the most appropriate study plan for your ability level will maximize your score. FAQ: Will this “Advanced” plan help me score over 700? If you follow all parts of this plan diligently, you will encounter all the information you will need for an elite score: it all will pass before your eyes. How well you do will depend on everything you bring: how quickly you learn, how deeply you remember, how well you assimilate and integrate, how astutely you discern connections and patterns, how diligent you are, how conscientious you are, and how dedicated you are. If you are truly committed to getting an excellent score, then read this blog with the utmost of attention and care. Do you need to adapt this study schedule to meet your needs? Check out this blog post for adjustment tips! Are you looking for a different study guide? Check out more GMAT study guide options here! 1) GMAC’s The Official Guide for GMAT Review (OG): The newest edition is the OG2018. If you are going to buy a new guide, get that one. If you happen to own either the OG2017, OG2016, the OG2015, or even the previous OG13 (those two versions are identical in their print form), then it would be no problem using either of those with this study guide. IMPORTANT: don’t write in the official guide or any prep books. Do all your work on separate paper or on a computer. You will want to keep the books clean, so that later, if you need to look at a problem again, it is still fresh and unmarked. 2) The code in the back of the OG will give you access to GMAC’s Integrated Reasoning website with 50 IR practice questions. 3) The OG Verbal Review 2018 and the OG Quant Review 2018. Those are the newest editions. If you already own the earlier editions, such as the OG Verbal Review 2017 and the OG Quant Review 2017, the OG Verbal Review 2016 and the OG Quant Review 2016, or the OG Verbal Review 2015 and the OG Quantitative Review 2015, then feel free to use them instead. These two books give more official questions, different from those in the OG. 16) A good 2-3 hours a day, for five days a week, and then a good 4-5 stint on the weekend (“Day Six”) — with a day off on the weekend as well. If you would rather free up some week nights, and move some of the material into the other weekend day, you are welcome to do that. Note: Many folks find that each day’s assignments take about 2 hours, although times to complete them will vary for different students. 17) Magoosh’s free Study Timer app for iPhone/iPad for timing yourself on exam sections and keeping yourself on pace. Currently only available in iTunes. 18) Magoosh’s Complete GMAT Guide: This comprehensive web-based guide to the GMAT gives you the quick but useful overview you need to understand this test. You’ll see how the GMAT is designed and scored, what skills it tests, how to find and use the best GMAT prep, and how to study for each test section. 19) A guide to GMAT Practice Test Resources: This page includes instructions on where to find good full-length GMAT practice tests, and how to take practice tests and incorporate them into your studies. This study plan is designed to accommodate a large number of practice tests, for students who feel that the repeated experience will best prepare them for the GMAT. Most of these take place in the second half of the plan. You have a choice to make about how many practice GMATs you want to take. 1) You will take one Magoosh practice test toward the beginning of the schedule. If you don’t foresee yourself taking more than 2-3 practice test after that, then get the single MGMAT book for single MGMAT practice test, take this on any Day Six. Fill the other Day Sixes with any studying you think would most benefit you, and take the two GMAT Prep tests at the end. 2) If you want take the maximum number of practice GMATs that this plan will accommodate—and many students feel this repeated practice experience helps them to acclimate to the conditions of the real GMAT—then there are two ways one can get all six of the MGMAT practice. One would be to buy the whole set of MGMAT books: I would recommend this if you imagine that you will have a great deal of extra time and would like to devote that time to more high quality resources. A quicker and cheaper way to get the six MGMAT practice tests would be to pay $50 to buy the 6 MGMAT Practice GMAT CATs by themselves. Magoosh contains all the information you need for wild success on the exam and many students have achieved spectacular results using nothing but Magoosh. Nevertheless, this plan recommends that you buy additional materials and use them, in addition to the Magoosh materials. Here’s why: These plans were structured with far-reaching pedagogical principles in mind, and a deep consideration for how the human brain learns. Most people cannot hear or read something just once and, from that single hearing, remember it completely and understand it fully. At Magoosh, we are very ambitious for our students; we want them to learn as thoroughly and as masterfully as possible. We recommend using these additional resources to provide additional practice, alternative explanations, and extra review. Not every student will need or want additional materials, but for those who do, the books we recommend are the best for the overall goal of doing very well on the exam. 2) Take the Diagnostic Test, found toward the beginning of the OG. Grade it, but you don’t have to read through all the explanations today. If you did much much better than you expected in either math or verbal, you may choose to re-evaluate which 3-month study guide (version A, B, C, or this one) you should follow. 3) In the Magoosh GMAT Math Flashcards, review the cards in the first deck, the Algebra deck. NOTE: I am going to assume that you will be familiar with the vast majority of the math & idiom flashcards. Note the cards with which you are not entire familiar, and continue to review these until you know them cold. Whenever you do OG questions, always check your answers when you are done with the batch, and read the explanation of anything you got wrong. Take notes in your journal on anything you need to remember from the solutions. Note that not all the OG explanations are of high quality, and some are not good at all. As an alternative, for all the questions in the OG, you can see much better explanations in our video solutions. 5) In the Magoosh GMAT Math Flashcards, review the cards in the second deck, the Fractions, Percents, and Ratios deck. Review any cards from this or the previous deck that you don’t know well. 5) In the Magoosh GMAT Idiom Flashcards, review the cards in the first deck, the Basic I deck. Review any cards from this or previous decks that you don’t know well. NOTE: In all Magoosh practice, from the “Start a Practice Session” page, in Section choose the question type; for subjects, clear all, so that no subject is checked; for difficulty, choose “Adaptive;” and, at least at the beginning, select “Unanswered” questions. NOTE: when you do Magoosh practice questions, do not select individual topics that are familiar. When you learn a particular lesson, resist the urge to practice that material right there and then. This plan is based on the philosophy that you should see a random mix of topics every time you practice as you move through the OG. Yes, this means you will make some mistakes in the beginning, especially with topics you haven’t learned thoroughly yet, but if you study those mistakes carefully, that will prime your mind for understanding these ideas more deeply when you get to them in the lessons. Getting questions wrong at the beginning may seem frustrating, but remember that you are playing a “longer game”: the point is not instant success at the beginning, but building deeper understanding over time. Also, it’s important to get accustomed as soon as possible to the random mix of topics you will see, one after the other, on test day. 4) In the Magoosh GMAT Math Flashcards, review the cards in the third deck, the Geometry deck. Review any cards from this or previous decks that you don’t know well. 4) In the Magoosh GMAT Math Flashcards, review the cards in the fourth deck, the Number Properties I deck. Review any cards from this or previous decks that you don’t know well. Because there are dozens of different ways one might choose to implement the recommendations of these four “stress reduction” blogs, this schedule does not itemize any specific tasks along these lines. Nevertheless, insofar as you can practice some of these habit consistently over the twelve weeks, you will be very good shape to handle the anxiety of test day. Now that you have this essay, what do you do with it? If you have a friend or mentor who is a gifted writer, see whether they would read the essay for you and critique it. Some folks hire a writing tutor specifically for this. If they are willing, you can show them the assessment criteria in the OG, and ask them to follow it. Alternately, you can upload your essay in the online forums and ask for feedback. See this blog for other options. NOTE: These are the last video lessons assigned in this plan; after this, only quizzes are assigned.. As you have time, peruse the list of lessons, and watch any on topics that you don’t think you have mastered. Also, as you do Magoosh practice problems and get problems incorrect, you may find that you need clarification on some concepts, and “related lessons” of that question can help you. In this plan, it is entirely up to you to decide how much use to make of Magoosh’s extensive library of video lessons. Do the first two* RC passage and answer the associated questions. When you are done, check your answers. *If you are using the 2015 edition, just do one RC passage on this day. 4) In the Magoosh GMAT Math Flashcards, review the cards in the fifth deck, the Number Properties II deck. Review any cards from this or previous decks that you don’t know well. 5) Spend at least 30 minutes on the outside reading of your choice. Pay attention to sentence structures. Pay attention to arguments. Pay attention to main ideas & roles of paragraphs. Take the quiz at the end of the Arithmetic and Fractions module. NOTE: presumably you will pass most of these quizzes on the first try. If any give you trouble, consider watching some of the lessons in the module before you undertake them again. Do the first 12 PS questions. When you are done, check your answers. 4) In the Magoosh GMAT Idiom Flashcards, review the cards in the second deck, the Basic II deck. Review any cards from this or previous decks that you don’t know well. Do the practice problems in Chapter 1, Problem Solving: Principles. Check your answers when you are done. NOTE: in this book, it is up to you how much time you want to spend studying the material in the chapter before you jump the chapter’s problems. 6) Spend at least 30 minutes on the outside reading of your choice. Pay attention to sentence structures. Pay attention to arguments. Pay attention to main ideas & roles of paragraphs. Take the quiz at the end of the Percents and Ratios module. Do the first 17 SC questions. When you are done, check your answers. 4) In the Magoosh GMAT Math Flashcards, review the cards in the sixth deck, the Statistics and Probability deck. Review any cards from this or previous decks that you don’t know well. Do the practice problems in Chapter 2, Problem Solving: Strategies & Tactics. Check your answers when you are done. Take the quiz at the end of the Integer Properties module. Do the first 12 DS questions. When you are done, check your answers. 4) In the Magoosh GMAT Math Flashcards, review the cards in the seventh deck, the Mixed Practice I deck. Review any cards from this or previous decks that you don’t know well. Do the practice problems in Chapter 3, Data Sufficiency: Principles. Check your answers when you are done. Take the quiz at the end of the SC Verb Form module. Do the next RC passage and answer the associated questions. When you are done, check your answers. 4) In the Magoosh GMAT Math Flashcards, review the cards in the eighth deck, the Mixed Practice II deck. Review any cards from this or previous decks that you don’t know well. Do the practice problems in Chapter 4, Data Sufficiency: Strategies & Tactics. Check your answers when you are done. Now that you have this essay, what do you do with it? If you have a friend or mentor who is a gifted writer, see whether they would read the essay for you and critique it. Some folks hire a writing tutor specifically for this. If they are willing, you can show them the assessment criteria in the OG, and ask them to follow it. Alternately, you can upload your essay in the online forms and ask for feedback. 4) Read the entire Magoosh IR eBook. Take the quiz at the end of the Algebra, Equations, and Inequalities module. 4) In the Magoosh GMAT Idiom Flashcards, review the cards in the third deck, the Advanced I deck. Review any cards from this or previous decks that you don’t know well. Do the practice problems in Chapter 5, Patterns. Check your answers when you are done. Take the quiz at the end of the SC Agreement module. Do the next 12 PS questions. When you are done, check your answers. 4) In the Magoosh GMAT Math Flashcards, review the cards in the ninth deck, the Mixed Practice III deck. Review any cards from this or previous decks that you don’t know well. Do the practice problems in Chapter 6, Common Terms & Quadratic Template. Check your answers when you are done. Take the quiz at the end of the Integrated Reasoning module. Do the first 17 CR questions. When you are done, check your answers. 4) In the Magoosh GMAT Math Flashcards, review the cards in the tenth deck, the Mixed Practice IV deck. Review any cards from this or previous decks that you don’t know well. Do the practice problems in Chapter 7, Visual Solutions. Check your answers when you are done. Take the quiz at the end of the SC Grammatical Construction module. Do the next 12 DS questions. When you are done, check your answers. 4) In the Magoosh GMAT Math Flashcards, review the cards in the eleventh deck, the Mixed Practice V deck. Review any cards from this or previous decks that you don’t know well. Do the practice problems in Chapter 8, Hybrid Problems. Check your answers when you are done. Take the quiz at the end of the Word Problems module. Do the next 16 SC questions. When you are done, check your answers. 4) In the Magoosh GMAT Idiom Flashcards, review the cards in the fourth deck, the Advanced II deck. Review any cards from this or previous decks that you don’t know well. Do the practice problems in Chapter 9, Workout Sets. Check your answers when you are done. NOTE: At this point, you have finished this book, and nothing more will be assigned from it. Keep it in mind as a reference as you move through other math practice. 1) Go to GMAC’s official IR practice questions: Use the access code given in the back of the OG, logging in here. This site contains the online version of all the questions in the OG, in case you want to practice the identical questions online instead of on paper; in addition, the official IR practice questions live here. Uncheck everything else and do all the Multi-Source Reasoning questions, questions #1-18, setting yourself a 45 minute time limit. When you are done, go back and read carefully the full explanation for each question. Take notes on anything you need to remember. Take some time to review any Idiom flashcards and any math flashcards that you haven’t mastered yet. Take the quiz at the end of the SC Parallelism module. 4) In the Magoosh GMAT Math Flashcards, review the cards in the twelfth deck, the Mixed Practice IV deck. Review any cards from this or previous decks that you don’t know well. Do all the practice problems in the chapter on Substitution. When you are done, check your answers. Take the quiz at the end of the Powers and Roots module. Do all the practice problems in the chapter on Defined Functions. When you are done, check your answers. Take the quiz at the end of the SC Logical Predication module. Do the first 17 practice problems in the chapter on Number Theory. When you are done, check your answers for these problems. Take the quiz at the end of the Geometry module. Do the rest of practice problems in the chapter on Number Theory. When you are done, check your answers. Take the quiz at the end of the SC Diction module. Do the first 17 practice problems in the chapter on Geometry. When you are done, check your answers for these problems. 1) Go back to GMAC’s official IR practice questions: Use the access code given in the back of the OG, logging in here. Once again, this site contains the online version of all the questions in the OG, in case you want to practice the identical questions online instead of on paper; in addition, the official IR practice questions live here. Uncheck everything else and do the remaining 38 IR questions, in three batches, with the following times: six Table Analysis (15 minutes); ten Graphics Interpretation (25 minutes); and sixteen Two-Part Analysis questions (40 minutes). When you are done, go back and read carefully the full explanation for each question. Take notes on anything you need to remember. 3) Spend at least 30 minutes on the outside reading of your choice. Pay attention to sentence structures. Pay attention to arguments. Pay attention to main ideas & roles of paragraphs. Take the quiz at the end of the Coordinate Geometry module. Do practice problems #18-34 in the chapter on Geometry. When you are done, check your answers for these problems. Do practice problems #35-51 in the chapter on Geometry. When you are done, check your answers for these problems. Take the quiz at the end of the Statistics module. Do the next 17 CR questions. When you are done, check your answers. Do practice problems #52-68 in the chapter on Geometry. When you are done, check your answers for these problems. Take the quiz at the end of the SC Rhetorical Construction module. Do the rest of the practice problems in the chapter on Geometry. When you are done, check your answers for these problems. Take the quiz at the end of the Counting module. Do the practice problems in the chapter on Coordinate Geometry. When you are done, check your answers for these problems. 1) Using the code in the back of the MGMAT Advanced GMAT Quant Supplement, log into the MGMAT website and take the first online MGMAT CAT test. That software does not include an AWA question. To simulate a full GMAT, begin by selecting randomly a prompt from the back of the OG, and then take 30 minutes to write the essay in a word processing program. Then, take the rest of the GMAT using that software. Go through the entire solution after you are done, reading carefully the solutions of anything you go wrong. Some of the MGMAT solutions are better than others. If you have questions that are not clarified by these solutions, you will often find MGMAT questions posted on the GMAT Club forum. Take notes in your journal on anything you got wrong and anything you need to remember. The essay you will either share with a trusted friend or mentor, or post in the online forums asking for feedback. Take the quiz at the end of the Reading Comprehension module. Do the practice problems in the chapter on Elimination Strategies. When you are done, check your answers for these problems. Take the quiz at the end of the Probability module. Do the practice problems in the chapter on Inequalities and the chapter on Fractions & Decimals. When you are done, check your answers for these problems. Take the quiz at the end of the Critical Reasoning module. Do the practice problems in the chapter on Equations. When you are done, check your answers for these problems. Do the practice problems in the chapter on Averages. When you are done, check your answers for these problems. Do the practice problems in the chapter on Ratios & Proportions. When you are done, check your answers for these problems. 1) Take the next online MGMAT CAT test. Once again, this software does not include an AWA question. To simulate a full GMAT, begin by selecting randomly a prompt from the back of the OG, and then take 30 minutes to write the essay in a word processing program. Then, take the rest of the GMAT using that software. Go through the entire solution after you are done, reading carefully the solutions of anything you go wrong. If you have questions that are not clarified by these solutions, you will often find MGMAT questions posted on the GMAT Club forum. Take notes in your journal on anything you got wrong and anything you need to remember. The essay you will either share with a trusted friend or mentor, or post in the online forums asking for feedback. Do the practice problems in the chapter on Exponents & Roots. When you are done, check your answers for these problems. In Official LSAT PrepTest #7 (Form 3LSS18), do Section #1 (p. 16). Time yourself for 35 minutes. When you are done, check your answers. NOTE: the LSAT book simply has letters of correct answers, and offers no explanations. If you can’t figure out on your own why a particular answer choice is right or wrong, try searching for the question on GMAT Club; if it is not already posted there, post the question in a new thread, and chances are good that you will get an explanation from the experts there. Do the practice problems in the chapter on Factoring and the chapter on Algebraic Expressions. When you are done, check your answers for these problems. In Official LSAT PrepTest #7 (Form 3LSS18), do Section #3 (p. 28). Time yourself for 35 minutes. When you are done, check your answers. Do the practice problems in the chapter on Percents. When you are done, check your answers for these problems. In Official LSAT PrepTest #7 (Form 3LSS18), do Section #4 (p. 36). Time yourself for 35 minutes. When you are done, check your answers. Do the first 12 practice problems in the chapter on Graphs. When you are done, check your answers for these problems. In Official LSAT PrepTest #9 (Form 4LSS23), do Section #1 (p. 50). Time yourself for 35 minutes. When you are done, check your answers. Do the rest of the practice problems in the chapter on Graphs. When you are done, check your answers for these problems. In Official LSAT PrepTest #9 (Form 4LSS23), do Section #2 (p. 58). Time yourself for 35 minutes. When you are done, check your answers. Do the first 10 practice problems in the chapter on Word Problems. When you are done, check your answers for these problems. In Official LSAT PrepTest #9 (Form 4LSS23), do Section #14 (p. 70). Time yourself for 35 minutes. When you are done, check your answers. Do the rest of the practice problems in the chapter on Word Problems. When you are done, check your answers for these problems. In Official LSAT PrepTest #10 (Form 3LSS20), do Section #1 (p. 84). Time yourself for 35 minutes. When you are done, check your answers. Do the practice problems in the chapter on Sequences & Series. When you are done, check your answers for these problems. In Official LSAT PrepTest #10 (Form 3LSS20), do Section #3 (p. 96). Time yourself for 35 minutes. When you are done, check your answers. Do the practice problems in the chapter on Counting. When you are done, check your answers for these problems. In Official LSAT PrepTest #10 (Form 3LSS20), do Section #4 (p. 104). Time yourself for 35 minutes. When you are done, check your answers. Do the first 11 practice problems in the chapter on Probability & Statistics. When you are done, check your answers for these problems. In Official LSAT PrepTest #11 (Form 5LSS22), do Section #2 (p. 122). Time yourself for 35 minutes. When you are done, check your answers. NOTE: Look ahead at the upcoming Day Sixes and think about your test date. If Week 12, Day 6 is the day immediately before your real test, you don’t want to take a practice test then. I would recommend dropping the last MGMAT test, so you can fit two GMAT Prep tests in right before the end of the schedule. Just be thinking about all of this ahead of time, so you don’t have to make last-minute-panic changes. NOTE: As you approach the end of the plan, the number of Magoosh questions remaining will be different for different folks, depending on how many quizzes you took. This could make a particular difference in math, if you took several quiz multiple times. If you took each quiz only once, you should finish most the Magoosh questions in the last week of the schedule, but if you took some quizzes multiple times you may run out of unanswered questions before the end of the schedule. If that’s the case, start answering questions you’ve seen before, especially ones that you already got wrong: that’s an excellent way to see whether you have learned from your mistakes. Do the the rest of the practice problems in the chapter on Probability & Statistics. When you are done, check your answers for these problems. In Official LSAT PrepTest #11 (Form 5LSS22), do Section #3 (p. 130). Time yourself for 35 minutes. When you are done, check your answers. Do the first 14 practice problems in the chapter on Permutations & Combinations. When you are done, check your answers for these problems. In Official LSAT PrepTest #11 (Form 5LSS22), do Section #4 (p. 138). Time yourself for 35 minutes. When you are done, check your answers. Do practice problems #15-29 in the chapter on Permutations & Combinations. When you are done, check your answers for these problems. In Official LSAT PrepTest #12 (Form 4LSS26), do Section #1 (p. 152). Time yourself for 35 minutes. When you are done, check your answers. Do the rest of the practice problems in the chapter on Permutations & Combinations. When you are done, check your answers for these problems. In Official LSAT PrepTest #12 (Form 4LSS26), do Section #2 (p. 164). Time yourself for 35 minutes. When you are done, check your answers. Do the practice problems in the chapter on Functions. When you are done, check your answers for these problems. In Official LSAT PrepTest #12 (Form 4LSS26), do Section #4 (p. 172). Time yourself for 35 minutes. When you are done, check your answers. Do the first 12 practice problems in the chapter on Miscellaneous Problems. When you are done, check your answers for these problems. In Official LSAT PrepTest #13 (Form 5LSS28), do Section #2 (p. 190). Time yourself for 35 minutes. When you are done, check your answers. Do the rest of the practice problems in the chapter on Miscellaneous Problems. When you are done, check your answers for these problems. In Official LSAT PrepTest #13 (Form 5LSS28), do Section #3 (p. 198). Time yourself for 35 minutes. When you are done, check your answers. Do the next 16 CR questions. When you are done, check your answers. Do the first 15 practice problems in Part Two: Data Sufficiency. When you are done, check your answers for these problems. In Official LSAT PrepTest #13 (Form 5LSS28), do Section #4 (p. 206). Time yourself for 35 minutes. When you are done, check your answers. *If you are using the OG2015 or OG13, do only 2 RC passages on this day. Do the practice problems #16-29 in Part Two: Data Sufficiency. When you are done, check your answers for these problems. In Official LSAT PrepTest #14 (Form 3LSS19), do Section #2 (p. 224). Time yourself for 35 minutes. When you are done, check your answers. Do the practice problems #30-43 in Part Two: Data Sufficiency. When you are done, check your answers for these problems. In Official LSAT PrepTest #14 (Form 3LSS19), do Section #3 (p. 232). Time yourself for 35 minutes. When you are done, check your answers. 1) Take the last online MGMAT CAT test. Do the practice problems #44-57 in Part Two: Data Sufficiency. When you are done, check your answers for these problems. In Official LSAT PrepTest #14 (Form 3LSS19), do Section #4 (p. 240). Time yourself for 35 minutes. When you are done, check your answers. Do the practice problems #58-71 in Part Two: Data Sufficiency. When you are done, check your answers for these problems. In Official LSAT PrepTest #15 (Form 6LSS27), do Section #1 (p. 254). Time yourself for 35 minutes. When you are done, check your answers. Do the last 16 CR questions. When you are done, check your answers. Do the practice problems #72-85 in Part Two: Data Sufficiency. When you are done, check your answers for these problems. In Official LSAT PrepTest #15 (Form 6LSS27), do Section #2 (p. 262). Time yourself for 35 minutes. When you are done, check your answers. Do the practice problems #86-99 in Part Two: Data Sufficiency. When you are done, check your answers for these problems. In Official LSAT PrepTest #15 (Form 6LSS27), do Section #3 (p. 270). Time yourself for 35 minutes. When you are done, check your answers. Do the practice problems #100-113 in Part Two: Data Sufficiency. When you are done, check your answers for these problems. In Official LSAT PrepTest #16 (Form 4LSS25), do Section #2 (p. 292). Time yourself for 35 minutes. When you are done, check your answers. 1) Go to http://www.mba.com/the-gmat/download-free-test-preparation-software.aspx, download the free GMAT Prep software. 2) Take the first full-length GMAT on the GMAC software. This software also does not include an AWA question. To simulate a full GMAT, begin by selecting randomly a prompt from the back of the OG, and then take 30 minutes to write the essay in a word processing program. Then, take the rest of the GMAT using that software. Go through the entire solution after you are done, reading carefully the solutions of anything you go wrong. If you have questions that are not clarified by these solutions, you will often find GMAT Prep questions posted on the GMAT Club forum. Take notes in your journal on anything you got wrong and anything you need to remember. The essay you will either share with a trusted friend or mentor, or post in the online forums asking for feedback. Do the practice problems #114-127 in Part Two: Data Sufficiency. When you are done, check your answers for these problems. In Official LSAT PrepTest #16 (Form 4LSS25), do Section #3 (p. 300). Time yourself for 35 minutes. When you are done, check your answers. Do the practice problems #128-141 in Part Two: Data Sufficiency. When you are done, check your answers for these problems. In Official LSAT PrepTest #16 (Form 4LSS25), do Section #4 (p. 308). Time yourself for 35 minutes. When you are done, check your answers. Do the last 16 SC questions. When you are done, check your answers. Do the rest of practice problems in Part Two: Data Sufficiency. When you are done, check your answers for these problems. In Official LSAT PrepTest #18 (Form 3LSS17), do Section #2 (p. 326). Time yourself for 35 minutes. When you are done, check your answers. Do the last 8 PS questions and the last 4 DS questions. When you are done, check your answers. Do the first 15 practice problems in Part Four: Diagnostic/Review Test. When you are done, check your answers for these problems. In Official LSAT PrepTest #18 (Form 3LSS17), do Section #3 (p. 334). Time yourself for 35 minutes. When you are done, check your answers. Do the last RC passage and answer the associated questions. When you are done, check your answers. Do the rest of the practice problems in Part Four: Diagnostic/Review Test. When you are done, check your answers for these problems. In Official LSAT PrepTest #18 (Form 3LSS17), do Section #4 (p. 342). Time yourself for 35 minutes. When you are done, check your answers. 1) Take the second full-length GMAT on the GMAC software. 4) Continue reviewing all the Magoosh flashcards. 6) Go to the online forums, looking for challenging questions that folks are asking. 8) If you have a weekend day that is more than a couple days for the real GMAT, then take one final practice GMAT from the GMAT software, as on Week Twelve, Day Six. 2) Eat a large breakfast, full of protein. Should I buy the GMAT Official Guide 2019 bundle? Or should I buy the 2018 bundle? Are there lots of differences between the two versions? If you haven’t purchased it yet, I’d say 2019 (because it doesn’t hurt to have the newest material), but if the 2018 is more affordable, then that will work just as well. Does anyone have this study schedule in a microsoft excel version? I would like to be able to track my progress easier. If not, I can create one myself (just figured I would ask). Im not a native speaker and I am good at verbal, actually. I am not strong at maths, so I tend to think that I should focus on both areas. The thing is: I did Magoosh during about 2 months (september nd october), but I had to stop. Now, I have 2 months again (I have full time dedicating to study). I pan to achieve a 630-650 score and the only test I took before any study was about 480, which I did the real test just to see how it was. I can’t seem to find the downloadable version of this specific study plan – could you please share the link? I want to print it to be confident that I don’t skip steps. I was looking through the study plan, and was wondering, when attempting individual questions, should I time myself? e.g. provide 2 minutes for a PS question etc. Great question! In the opening weeks of this study plan, I actually recommend that students make note of their times per question (for Magoosh questions, you can see times for questions you’ve answered by clicking “Review”). But I don’t recommend students hold themselves to strict time limits at first. This is because your initial goal should be accuracy, not speed. Once you learn to answer questions correctly, you can start focusing on getting to those correct answers more quickly. If you are far away from your ideal average time per question at first, try to get closer to the right average time per question. Then, once you’re ready, hold yourself to the actual average times per question from the real exam. That would be 2.5 minutes per IR question, 2 minutes per Quant question, and 1:48 per Verbal question. Once you are ready for real time limits in your practice, though, remember that the times per question are an average, not an absolute rule. Some questions will take longer than others. You may spend, or example, 3.5 minutes on a really hard Quant question and then 30 seconds on a much easier one. Between those two questions, you’d still be at your desired 2-minute per question average. I gave GMAT and I got 720 (Q50V37). My Gmatpre test scores have been in the range of 730-770 but I have not been able to get my desired score of 750. 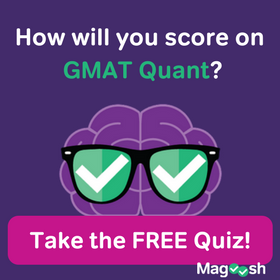 How can Magoosh help if I have 1 month to study for my next GMAT? Thanks so much for posting this. I would appreciate some help choosing a study plan. I took a Manhattan Prep GMAT course that ended in March. My first CAT was a 570 (January 2017). At the end of the course I scored 620 (39th percentile Quant / 76th percentile Verbal) on a MPrep CAT and have since scored a 580 (bad day) and a 610 (38th % / 76th %). Basically the needle hasn’t moved in 2 months and I think I need to change things up. I have 2-4 hours a day to devote to studying. I am planning on applying to B-School in round 1 this fall for my target schools all of which are Top 15 so I need a 700+ GMAT. Round 1 apps are due in September / October so the latest I could take the exam is August (the three month advanced plan could work perfectly if I start in the next week). I’m thinking this is the route to go, but I’m worried my Quant may be too low for the advanced plan. Thoughts? Thanks! The three month plan for advanced students just may work for you, Jonathon. However, given your lower Quant scores and your very comfortable position in Verbal, you may want to consider the three month math focused GMAT study plan. That plan also does give you some Verbal practice, so you can really build your math abilities without actually slipping in Verbal. Thank you Magoosh and Mike for this awesome study plan! I had no idea where to start with studying. My first practice test score was a 670. This study plan really helped me to organize myself and work through the materials in an effective and manageable way.For other people looking to use a study plan: I got through about 3/4 of the plan but as Mike frequently says its not about how many boxes you check but about how deeply you learn and absorb the material. Choose the plan that works for you and your needs and not just the one that says it will get you X score. Proud to say I took my test today and scored a 740!!! Which I never even thought was possible. So thrilled! Thank’s so much Magoosh!! It seems as though the purchase of the MGMATStrategy guides no longer grants access to all 6 of the online practice tests per https://www.manhattanprep.com/gmat/forums/post125493.html#p125493 . I think the they offer just the online bank of tests separately. Would using that be your recommended approach for these study guides? Yes, I’d heard of this change. MGMAT is still a very valuable resource, and their practice tests are a key part of this study schedule. So Magoosh does recommend either purchasing the online tests separately, or getting them with a purchase of the complete set of MGMAT volumes, as mentioned on the MGMAT forum page you linked. Dear Mike, thank you very much for all the detailed information. One question, my test date is on January 3rd 2017, I’m looking to score 700+ with an 80% on the math section. I have a little over 10 weeks to study for this, and I have a good background in math (mechanical engineer and Msc in Finance). My question is, which plan should I follow? (Taking into consideration that I’m willing to put in the time and that I need a strong score in the math section). Should I dilude the 1 month plan or should I just take the advanced three month plan and at the end start taking some stuff out? I have the following materials, GMAT Review, Magoosh Premium + All other Magoosh available materials, Nova GMAT Math and GMAT Prep APP. There are multiple routes that you can take. First, if you are unsure of your current level, I would recommend taking a diagnostic test to see where you stand. You can get a better understanding of whether you need to focus primarily on math or if you need to focus on your foundations. Both the 1-Month Plan and the 3-Month Plan can be converted to 2 months. For the 1-Month, you can spread each day’s work into two. For the 3-Month, you can double-down every other day. Now, if you have a lot of time to study. You can also complete the 1-Month schedule first. Then, with your second month, do more targeted studying where you focus on your weaknesses. It’s really based on your preference and flexibility. I am looking to take the GMAT in 1 month, and shooting for a 710+ score. I took it in the Spring of 2013, and received a 690 (V35, Q48, IR8). This was with little prep (just going through the free stuff on the GMATPrep website). I have purchased the MGMAT books, along with the Magoosh program. I am looking at how to best use the materials I have to study everything to get to my target score, and have looked through the 1 month plan and this 3 month advanced students plan. The one fits my timeline, while the other fits my goals. With my situation (already being at a 690), and also working a full-time job, I want to really narrow down what I should focus on. Is there a modified plan that I should look at? Any suggestions in how I can best combine the two? Or what content I should eliminate from the 3 month advanced students plan? Thank you! It can be a little tricky to combine two plans with such very different timelines. What you want to do here is look at the areas you’re strongest in, and minimize practice int hose areas. Since you got a perfect score in IR last time, it seems likely that you could cut a lot of the IR practice out of your combined 1 and 3 month plans. In Quants and Verbal, think about which question types and skill types you’re the best at. Anything you can already do well int these sections is something you can possibly eliminate so that you can more comfortably fit the most important parts of both plans into a one-month time frame. Since our study plans require use of Magoosh GMAT Premium content, I assume you’ll be subscribing. Once you have a premium membership, our remote help team can give you some one on one advice via email, looking in grater detail at your learning needs and the best way to combine these plans. Is there any downsides to getting the 2017 version of the OG? “Week 3 Day 5 – In the MGMAT Advanced GMAT Quant Supplement – Do the practice problems in Chapter 9, Workout Sets.” These are 15 workout sets with 10 questions each. Please clarify, if one is really expected to solve all the 150 questions on the same day. Ideally you should go through the whole set. But the study schedule is meant to be flexible to meet both your learning and scheduling needs. So you may choose not to go through the full 150, or to spread the problems out over 2-3 days. I stuck to this plan for the most part. I did not do the suggested outside reading, MGMAT advanced quant supplement, and only did about 20% of the recommended LSAT practice exams. I took 2 6-day vacations as well, so the plan is very flexible. Thank you to the Magoosh staff for having this plan laid out. At the beginning of my prep, I didn’t think I’d be able to crack 650! Just felt obligated to leave some feedback – I went from a 660 to a 710 in four weeks using this guide. I first took this exam in September of 2015 and I scored a 660. I wanted to take the exam again to see if I could improve my score at all and increase my chances of getting into the school of my choice. As you can see, my score did not increase. I ended up getting into the school of my choice, and was told that If I got a 680 or above before May 2016, I could get a 100% tuition scholarship. My first instinct was to take the exam again, because of course, there had to be some chance that I could luckily get a 680 (didn’t work). I ignored the LSAT practice, outside reading, and verbal videos, and most of the MGMAT Practice Exams simply because I didn’t have the time. As you can see above, I was only able to get half of the Magoosh and OG problems done. I sacrificed those questions in an effort to complete the NOVA and MGMAT books. I found my drop in Quant a little annoying, especially because I was studying for that section the most… but in the one shot I had to save tens of thousands of dollars, I got above 680 and found 710 to be a respectable score. So I’m pretty happy with it. If you have more than a month you should be able to see even more improvement. Anyway, hope this helps some of the people contemplating using this guide. Thanks Mike and the Magoosh staff. Thank you for the study plan and the help you are providing. Regarding the 10 Actual, Official LSAT book, Do you recommend any book that will provide explanations to the questions? We’re so glad to hear that you found Magoosh! 🙂 Since you are a premium student, I went ahead and forwarded on your question to our team of remote tutors. Someone from that team will reach out to you via email. In the advanced study guide, you mention buying a volume series for MGMAT. But I looked through the schedule and it didn’t look like you referenced the books really at all – just the practice tests. My question is, would it make sense to just buy the online practice CAT Exams and Question Bank from the MGMAT website for $75? 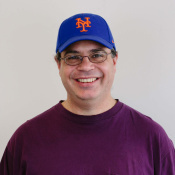 (https://www.manhattanprep.com/gmat/store/online-resources/gmat-cat-exams-and-question-banks/). I appreciate any feedback, thanks! I took the exam in August 2015 and scored a 710. I plan to re-take the exam in December. I had followed your one month plan for my preparation. I am comfortable with the Quant section but need more help with the Verbal portion. Would the 3 month gmat study schedule for advanced students be useful for me or should I look out for some other plan to improve my score. My score breakout was: Quant: 50 , Verbal: 37.
i updated this 3 month study plan into google calendar so you can follow it daily. I hope it is useful for you. That is awesome! Thanks for taking the initiative to do that and share with the Magoosh community. You rock! thank you for the study plans. I have been studying for the last 3 months, did the GMAT once but got a score well below the practice tests I had done (660 Princeton in June, 640 gmac free CAT in July vs 570 actual gmat in August). I plan on retaking the exam with a well structured study plan and thankfully I got here. I’ve seen that the study plan for advanced students features more challenging resources and less videos than the beginners plan, if I believe my main problem was lack of practice, which plan would you recommend I follow? I am inclined to start the study plan for advanced students (since i’ve been around 600’s) but because of the comments around here I believe the beginners plan might be a better suit for me given the poor results I obtained on the actual GMAT. Here’s what I will say. The material you need to get into the high 700s is available on all of these study plans: the material is there, and it all depends on your ability to learn & absorb & remember. You don’t put yourself at any disadvantage by choosing an “easier” plan. I would say that it would be a mark of excellence for a student who had already scored in the mid/high 600s to undertake the beginner plan. An excellent student never underestimates anything. Yes, you may know fractions reasonably well already, but is there any further insight about fractions you could have that might serve you on test day? What else can you learn about them? How can you think about them more deeply? The mediocre student is quick to jump to: “OK, I know fractions. I done with that!” The excellent student takes nothing for granted, and always is pushing to understand the already-familiar at more profound levels of comprehension. If you are able to go through the beginner plan with that kind of attitude, watching every lesson video, and milking each one for every last drop of insight you can wring from it, then you will be well prepared for your next GMAT. I wish you the best of luck, my friend! that is 150 problems. I have no problem doing them, but doing the chapter in one day can take easily 6 hours. I decided to do three sets per day instead. I noticed the exact same thing! There is no way one can do all these problems in one sitting on a weekday! These problems definitely seem relevant so I’m guessing Magoosh will eventually notice the mistake and try to change the schedule so they are better spread out. I just took the GMAT yesterday. I got 680 (IR:7, Q:49, V:33). I was not totally satisfied with my score, but it was the first time I was not defeated by GMAT. I was prepared and did everything in my power to get the best possible score. I thought I did well because it is a good score. I followed the old version of the 3-month study plan for advanced students down to the letter, and I added the MGMAT Advanced Quant because I thought I needed some extra math practice. Magoosh was great because it provided me with all the materials needed, but more importantly with a schedule I could follow. I have never done anything like this on my own before, and it was just great having a detailed plan to follow. Thank you for that!!! It was my fourth time taking the GMAT. Last time I took it 4 years ago and I got a 610 because I forgot to answer the last question on the verbal section… A few months before that I got a 640, and couple years before that a 590. I know that improving from 640 to 680 is not bad, but I thought after that test that I could have done better. I started thinking about retaking the test. I was debating between taking it in three weeks and taking it in three months. If I take it as soon as possible, I could get over 700 for sure, but if I used the new 3-month schedule, I could get over 750. At least, in theory. 🙂 That was my thinking from yesterday. I got my enhanced score report today… I knew I had messed something up at the Verbal section, but the results were surprising to me. The Quantitative part was as I expected: PS 64% and DS 86%. However, I did not do so bad at the Verbal section: CR 88%, SC 96%, BUT RC 22%!!!!!!!!! I have no idea how that happened. CR and SC are excellent, but the RC is probably my worst RC ever (including practices and tests during the past 6 years). I already invested a lot in my preparation, but I am ready to take it to the next level. Yesterday, I was willing to start the new 3-month advanced plan and get my Quant score to 50 and my Verbal score over 40. However, today, I feel I should take the test as soon as possible because my Verbal score is already there, even if my Math won’t improve. I want to get the best possible score because I want it to reflect my abilities and effort! This 680 is not that score. I am ready to give it another 3 months and try the new study plan because if I was at my current level 3 months ago, this post would most likely be about me acing the GMAT. What do you recommend? New 3-month advanced study plan and me taking the GMAT in November OR a few weeks of intense studying and me taking the test as soon as possible? (1) Given that the OG questions are listed in order of increasing difficulty, what is the recommended approach for selecting the practice questions listed in this guide? i.e. start from the beginning and work up, pick randomly, or it doesn’t matter. (2) I am also using the GMAT Prep Now Improvement Chart excel sheet to track and analyze my OG results, but the difficulty level of each question is not considered. Are there any resources which indicate the approximate difficulty level of the OG questions? Absolutely! We are in the process of updating all of our GMAT study schedules so that their materials keep up with all the updates we’ve made to our GMAT Prep product. 🙂 Sorry for the delay – they should be ready in a month or so. I promise that we will make it clear that the change is coming so you won’t be caught off guard. Also, the current versions of the study schedules will continue to be available so that you don’t lose your place. I started my GMAT Preparation in May 2014. I got a score of 660 in the first mock (GMAT Prep). I had to stop my GMAT training from July – Sept and i have recently re-started my preparations. I have done the concepts from the Manhattan GMAT Guides and Princeton Review guides. I took a mock (Princeton Review) yesterday and scored 580 on the test. I am aiming at a score of 750 in the actual GMAT. I have about 3 hours per day over the weekdays and 8 hours over the weekend to study. I am considering going by the advanced plan that you have mapped out. Could you please advice if i should be considering the beginners plan or a combination instead? 1) Do the beginner’s plan. You are quite welcome. 🙂 I’m very glad you found my recommendations helpful. My friend, please just keep in mind that blog comments are place for items of interest to general readers; for example, I answered your previous question because I easily could imagine other readers asking it. The blog comment section is not a place to ask for personal guidance or to report personal progress; such comments fall outside our blog comment policy. The content of the blog, including the comments, has to be helpful to readers in general. Does this make sense? I am planning on taking the GMAT for the first time in January’15. I decided to follow you 3 month study guide for beginners. A few things I realized and wanted to ask you is about the MGMAT books…i currently have the 4th edition books which i got from a friend (brand new)…is it necessary for me to purchase the 5th edition? Also I only have the 12th edition of the Official Guide…is it necessary for me to get the 13th edition one? I really want to score atleast a 700 so please help! I’m happy to help. 🙂 If you got the MGMAT books, 4e, new from a friend, don’t worry about buying the 5e books. The differences are slight, and the small difference will not justify the cost. Now, with the GMAT OG, you have the 12th edition, which is close to the 12th edition — fewer than 10% of the problems changed between the two editions. Since the OG2015 is the most recent edition, you may be able to find the 13th edition new at a vastly reduced price: if you can, I would still recommend buying it, but don’t spend a lot for it. Mike, thanks for this roadmap to conquering the GMAT! Is this available in PDF format? I’d like to print it out cleanly and get it into my agenda. I’m happy to respond. 🙂 Regrettably, at this time, we do not have downloadable forms of our GMAT study plans. That’s one project we have simmering on the back burner — if you check back in a month or so, we may have that feature. In the mean time, I don’t think it’s that hard to copy the text and paste into, say, MS Word. I think other users have found that this works reasonably well. I did the GMAT yesterday and got 680. I am not satisfied. I followed the 1 month daily study plan and finished it. I was wonderig if you have a study plan to get me over 700, preferably a shorter one, maybe 2 months or so. Also, i dont think doing the OG again would help me. MGMAT could be a good idea. It discusses the reasons people often score a bit lower on the real GMAT. If you have ambitions to score over 700 on a retake, I strongly suggest implementing as many of those stress reduction practices as you possibly can. Now, my friend, there’s a subtle and deep paradox here. You want a “plan” to get you over 700. Well, in that one-month plan you just completed, every piece of information, every piece of content and every strategy, that a student would need to score over 700, is already there. That was the one-month plan to get 700+. You see, a 700+ score is a top 10% score — it’s elite. Few people achieve that — only the top 10% — precisely because there’s a large combination of skills needs to perform at that level. Students naively imagine that we could write a “plan”, and if students simply follow the step-by-steps of this plan, they will get over 700. If there were such a plan, then many more than the top 10% could score 700+, and it wouldn’t be elite anymore. No step-by-step plan, in and of itself, produces excellence, because excellence comes from the heart. My friend, this is very hard part about being a student. This is precisely where you need to take a hard look at yourself. If all the information was there, then why didn’t you retain it all? Why didn’t you understand it as deeply as possible? For example, have you kept an error log, so that you are deeply familiar with the patterns of your mistakes? When you make a mistake, are you committed to reviewing it until you are sure that you will never make that particular mistake again? If you go back to the topics that you think you understand, what crucial pieces of information did you overlook? The more responsibility you can assume, the more initiative you can take. The mediocre student says, “If I just do A, B, and C, then can I consider myself done?” That mindset leads directly to mediocre results. The excellent student says, “After I am done with A, B, and C, what else can I do? If I already feel I understand this topic, how can I understand it even more deeply?” In order to achieve an excellent score, you need to hold yourself to the lofty standards of excellence in every single aspect of your GMAT preparations. If you are able to take deep responsibility for your own learning process and radically rethink the ways that you assimilate and retain information, then you will have an excellent chance of crossing the 700 threshold. The MGMAT books are wonderful, and the OG Verbal & Quant Review books & additional questions for GMATPrep are good sources of more official problems. It’s important to recognize though — where you are right now, the answer will not come from outside. The answer is not about finding the right book or the right plan to follow. The answer is not some step-by-step recipe. The answer is much more about shift in your own attitude, in your own fundamental work ethic, in your own level of passion and dedication and commitment. Excellence comes from the heart. Whatever standards you have for yourself, raise them. You have to transform yourself in every way into an excellent GMAT student, and this will enormously increase your chances of achieving an excellent score. And, if you can make a habit of working at the level of excellence, it will pay huge dividends throughout your career. My friend, I sincerely wish you the very best of luck in challenging yourself to meet these high standards. You are quite welcome. 🙂 Best of luck to you, my friend. I’m happy to respond. 🙂 If you have the time, you could do essentially 1.5 days of work — in other words, finish three days of work on the schedule every two days. You could omit a few of the essay-writing weekends, in favor of the practice test weekends. That would be a brisk pace, but if you are faithful, and if your schedule remains relatively clear, then you can sustain it. perfect!… I just wasn’t sure if it was wise to start and then find out at the end of the two months that I could’t review all the topics. You are quite welcome. Best of luck to you! Just finished week 1 and planning on staying the course throughout the three month period. Question: How is it possible to take 4 GMAC practice tests. Don’t they only provide 2? The GMAC PowerPrep has two tests, but it has enough questions in the hopper so that you can take each one twice. Thus, you can take a total of 4 tests. Does this make sense? 640 on first CAT btw. I’ll let you know how I end up. You are quite welcome. Best of luck to you, my friend. If I’m aiming for a score of 750+, do you think it’s essential for me to read the MGMAT books? Or can I just solve the problem sets at the end of each chapter? I’m happy to respond. 🙂 Think about this. You are aiming for an elite level of excellence, 750+. Knowing only one way to approach or solve a problem is not very powerful. A student with an appetite for excellence is always interested: “What’s another possible approach? What’s another strategy?” I would recommend, as much as you can stomach: think about the MGMAT strategies — why would they be good strategies, and what would be the advantages of them? Then, think about the Magoosh strategies in the same way. Imagine if, during the test, you could look at a problem and say with confidence, “Of the many strategies I know, I think this strategy will be the best for approaching this problem.” That’s mastery! The question, “Can I just do this and no more?” is an insidious question, because it can be a question that leads to mediocrity. The question, “What else can I do to improve myself?” is one of the questions of excellence. My friend, excellence is my genuine wish for you. I have begun with the advanced plan, and took the first GMAT CAT on MGMAT website and scored 540 only, I took GMAT Prep last week and scored 600 and 620 in the Veritas CAT! Please suggest is the advanced plan feasible for me? I have limited time but my target is 700+! What extra steps should I take I have access to Magoosh Premium as well as the Manhattan GMAT Guides; but honestly 540 is disappointing. Understand, my friend, the inherent contradiction in what you are saying. You are saying you want an excellent performance (700+), but you are saying you want to get there with efficiency. Excellent is a matter of thoroughness, not efficiency. I would suggest: follow this plan, read all the MGMAT books thoroughly, and watch more Magoosh videos than you think you need. Do as many Magoosh questions as possible, and watch the video explanations of all those you get incorrect and any of which you are unsure. If you want to increase from 540 to 700+, that is doable, but you really need to commit to it with extraordinary devotion and perseverance. Thanks Mike for your reply, could you please throw some more light as to what do you mean by thoroughness and how do u differentiate it from efficiency in terms of GMAT prep? I mean in terms of actions :)! A good question. Someone focused on efficiency might simply be concerned with how many questions he has accomplished — e.g. I did 50 questions today. Someone who is exceptionally thorough would do fewer questions but would read very carefully the OE of each and every question, keeping an error log and taking detailed notes on anything about which she was unclear. Someone focused on efficiency following this plan might decide to watch few or no lesson videos: it would be very efficient to be able, as it were, to check all the lesson videos off one’s “to do” list. Someone more thorough would watch several lessons, taking nothing for granted, wanting to make absolutely sure that he understood everything. Someone efficient may simply skim the OE of a question she got wrong, and think, “OK, that was my mistake” and move on. Someone thorough will invest considerable time and energy into each question he got wrong, making sure he understands the concept he missed and will be able to recognize it and apply it the next time it appears. Someone efficient might race through a MGMAT volume in a single sitting, scanning examples and thinking, “OK, I have this.” Someone thorough will read every single word, will summarize in her own words the main idea of each chapter, and will review this summary until she owns it. Yes Mike it does, I shall keep you updated on the same! And be thorough in my preparation! I’m very glad you found that helpful! Best of luck to you! Just started with Gmat prep (initial stages though), planning to give it in first week of july .., As f now the free tests that I have taken on Manhattan or somewhere else I am scoring 520-550 without any prep at all. I just want to ask you which 3 month plan should i follow Beginners or advanced one ?? I have the resources required premium access to magoosh, Manhattan 10 strategy guides and all. Aiming for 700+ … Please revert asap. This advanced plan has folks skipping most of the Magoosh videos. I would say, follow the beginning plan. It’s one of the habits of excellence to take absolutely nothing for granted. Watch every single Magoosh video — even if it’s relatively familiar, ask yourself, “What could I understand more deeply about this?” Follow the beginner plan and use all the MGMAT books — that will constitute extremely thorough preparation. Does all this make sense? Thanks for your prompt reply …. To be very honest what I make out from your reply is that I should follow the beginners plan in addition to the MGMAT books followed religiously for the relevant topics that I ll be doing in the beginners plan. hope this is what you want to convey !!! Any tips on how to include MGMAT in the beginners plan so that it is thoroughly covered … !! Plus one more question to you …. If I go through the beginners plan with all the sincere efforts will it be able to help me surpass 700 ?? Following the beginners plan and using all the MGMAT books is an aggressive plan — I recommended it because you have high aspirations. You will have to work through about a volume a week of the MGMAT books — fit them in when you can, and finish them on the weekends. Will following all this, with complete determination and dedication, guarantee you a 700+ score? My friend, nothing in this world is that guaranteed. Risk and uncertainty is the very nature of the world to which an MBA will grant you access. Your chances on the GMAT depend largely on how quickly you learn and understand, how well you remember and retain, your ability to make connections, etc. etc. All I can say is that, following the beginners plan + the MGMAT books will expose you to all the information you will need to excel; following this plan will give you your best chance to hit that high mark, but whether you do so depends very much on the talent & skills sets & dedication you bring. 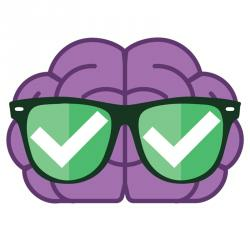 Put in a sincere effort: believe it or not, the best way to achieve a high score is to ignore the score completely and absolutely put it out of your head while you are studying. You are quite welcome. Best of luck to you, sir. I am currently following the 12 week beginner plan with about 8 weeks before test day. Can you give me a quick summary as to the main difference between the two 12-week plans? It looks like the advanced plan has a MGMAT component but the other “lessons” remain on par. In the advanced plan, I suggest that an advanced student could skip many of the Magoosh lessons — of course, watching them all is a diligent move that can only support excellence. The MGMAT books are not essential for an elite score. They are another perspective on these ideas, and they are very well written, so they could only help. If you find yourself with extra time & energy beyond what’s recommended in the beginner plan, then I certainly would recommend getting some or all of the MGMAT set. Hearing another perspective on ideas can be an excellent way to deepen your understanding. I want to practice RC passages from Magoosh. Is there a way I could filter on complete passages instead of number of questions? I would very much like to answer your question, my friend, but I must confess: I am not precisely clear about what you are asking? Precisely what is the information you seek? First of all thank you for this schedule. I followed this schedule and am in week eleven. Giving GMAT next week (fingers crossed). This was a great help and I want to add a suggestion. It is very helpful if after doing a question in OG one also watches the video of you doing the question on youtube. It doesn’t matter if student gets the question right or wrong. Video serves as a revision of concepts as well as reminder of best possible techniques. Thank you very much for your suggestion. I will discuss with others at Magoosh whether we should add that to the study schedules. My friend, I wish you the best of luck next week! CONGRATULATIONS! That’s wonderful! You are very welcome, my friend! Good luck in B-school! I had a questions about suggested study plans for my GMAT retake and the 3 Month advanced study plan you have posted. I took the GMAT in Feb. of last year and scored a 680 (48Q34V). I have access to the MGMAT study guides and also have access to the full on demand VeritasPrep course that my work paid for. In addition, based on recommendations by others, i purchased the Magoosh GMAT Premium access. My goal is at least a 730 or 740, but I would be ok with as low as a 720. I am the type of learner than learns best by somebody showing my how to do something and then practicing it myself. Based on the looks of your 3 Month Advanced study plan, it looks like it has the studier move successively through each question type, rather than the typical study a particular subject (i.e. algrebra, geometry, etc.) and do questions based on that subject. Since it has been a year since I last looked at anything for the GMAT, would you recommend that I try to alter the study schedule to incorporate more of the videos from Magoosh or try to incorporate the structured VeritasPrep course lessons with the practice question regiment from the study plan? Yes, this design will be challenging and uncomfortable for you, as it is for many many people. In fact, many people naturally do exactly what you want to do — they avoid plans such as this, plans that enforce mixed practice all the way through, and they stay with the nice, comfortable, safe approach of isolated focus, one topic at a time. My friend, do you know what the recipe for mediocrity is? Do more or less what everyone else does! Sure, use the MGMAT material and the Veritas material — that’s all great. Just stir all that in, but don’t make any effort to systematize things. If you learn concept X one week from MGMAT, then a couple weeks later from Magoosh, then a couple weeks later from Veritas, that reinforced perspective over time will deepen the connections in your brain. The more you switch gears, the deeper you will understand. Forgive me for being so blunt, but I can tell that you are a very talented individual, and I don’t want to see you sell yourself short. You want excellence, and I believe excellence is well within your capabilities, but you will not be able to achieve simply by following a safe & comfortable mode. As they say in Boston, “Can’t git there from here!” To achieve excellence, I believe you are going to have to push yourself to go beyond this extremely limited self-identification with isolated focus practice. To be outstanding, you need to stand outside your own comfort zone. To shrink from what is challenging and difficult is precisely the road that leads to mediocrity. To make a habit of choosing that which challenges you and forces you to grow in ways that are difficult for you — this is the road that leads to excellence, and that is precisely what I would wish for you, my friend. Mike, Thanks for the help. I really appreciate it. I just wanted to make sure I got started on the right foot, given that It has been a year or so since I took the exam. I’ll planning on staying the course laid out in the study plan. I do agree that the quintessential “baptism by fire” approach can work well. You are more than welcome, my friend. Best of luck to you! I have an issue that I believe you could help me with. So, last year I took GRE test and now I am required to take GMAT. Hence, my question is, would you recommend me to start with GMAT study schedule for advanced students or should I focus on beginners one? I’m happy to respond, but this question is a little difficult to answer in the abstract. Let’s say that about 80% or 85% is a percentile cut-off. If you were above that in your GRE, in both Q & V, use the advanced plan. If you were above for one of the two, Q or V, and not the other, use one of the focused plans. If you were below that percentile in each of the components, use the beginner’s plan. Does this make sense? Yes, that does make sense. Thank you so much for your response and help! Now I know what I should focus on. I was looking thru the different plans and i wanted to know is there a difference between the beginner and advanced plan schedules? They seem pretty similar to me. Please do let me know if I missed something. Well, for starters, the beginner schedule has the student watch every single Magoosh lesson video, whereas the advanced plan involves watching almost no lesson videos beyond a few introductory lessons. Also, the advanced plan involves reading through the entire MGMAT book series, whereas the beginners don’t even touch that series. Those are two of the more salient differences. Does this make sense? Hi, Thanks and I appreciate your help in designing the 3-month study schedule. Great help!! KUDOS!! I have a question, I have Third edition of MGMAT 10-volume pack. And the latest is 5th edition in the market. Prepraring from third edition fetch the purpose?? Are there any changes made in the latest edition? I’m glad you are finding this schedule helpful. As regards the MGMAT books, I don’t believe the 3rd edition has anything about Integrated Reasoning, and may be preparing your for the old two-essay AWA. The stuff on Quant & Verbal has had minor changes at most. There’s also a new volume, an overview of the GMAT they call the “Roadmap”, but the Magoosh intro to the GMAT series will give you most of what you need there. I was wondering what way of studying you would suggest if you can already score 730 without any preparation (96th percentile Verbal, 78th Math using the official GMAT simulation software). I found some of the test questions very easy, so that I was really surprised to get such a good score because I suspected I had missed many questions. My mistakes were very random, no clear pattern emerged. Do you think I would get a similar score on the actual test, or is it possible that I was just lucky? Well, as they say, better safe than sorry. I would recommend go through this particular study plan with due diligence, taking further practice tests along the way. To whatever extent this first performance might have been a fluke, diligent preparation would “de-fluke-ize” it, if you see what I mean. It sounds as if you are really starting your preparation in the catbird’s seat. Congratulations and best of luck, my friend. I just took the GMAT and didn’t do so well (490…Q36 V21). Would this plan be something I should follow in order to meet my goal of 550? If so is it okay if I use the 4th edition of MGMAT books? I don’t know what the difference is between the 4th and 5th editions other than number of books (8 vs 10). I’ve got OG 12 and 13. I would recommend plan C, “Verbal Focus”, for you — you seem relatively strong in Math, but weaker in Verbal. I don’t think the difference between 4e & 5e of the MGMAT books is particularly significant. I sat for the GMAT last year (650, V48, Q31) and i have a three month prep time ahead. I hope MAgoosh will help me break 700. I believe you will find this plan and the Magoosh material helpful —- if course, our score guarantee says that if you don’t increase by 50 points to 700, you will get your money back. That’s how confident we are that you can improve that much. Best of luck to you! Came to know about magoosh through a friend who strongly recommended. While going through the 3 month study plan (advanced), i observed that you require MGMAT 10 book set. I got the latest used set from a friend. Now, the issue is I don’t have the 6 online exam which you get on MGMAT purchase. So, is there any other providers of GMAT test available which is can separately buy or should I get a new MGMAT book specifically for the test. I checked on their site too but they don’t sell 6 exams separately. Kindly advice. First of all, each volume should have a separate code, and if they haven’t expired, any one of them would give you access to the online tests. I don’t know when the codes expire — after 6 months or a year or ?? ?— but if the books are older than that, none of the codes will work. There are really no other online tests remotely as good as the MGMAT CATs, so I will say: buy one more volume new, any volume, and this one new volume will give you access to the online tests. I hope this helps. Hi Mike…Could you clear something for me. When you say we need Manhattan 10 book series, can we supplement the hard copy version with the soft copies? I mean the whole set is quite expensive and if the objective can be met by a soft copy will that suffice? ?As for the free tests that come together with the books i could buy just one of the books to avail the 6 tests. To cut to the chase now could you guide me as to how updated is Magoosh regarding the GMAT prep; i saw an issue task video in the lessons. Does GMAT has an issue task like the GRE or is there only an argument task. Then I saw idioms being tested on the Verbal questions and i saw somewhere on the GMATclub blogs that idioms are no longer being tested? Kumar: Great questions. 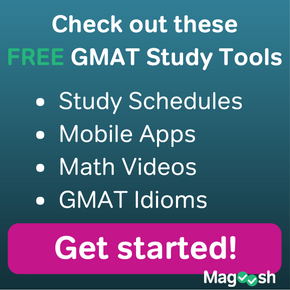 Magoosh gives you everything you need for a successful GMAT. Our 1 month plan recommends only Magoosh. In this 3 month plan, we already recommend the MGMAT books, which are excellent. Why does a student need them as well, if Magoosh gives you everything you need? Well, sometimes hearing something in a new way can make it “click” on a new level — even if that doesn’t happen, just hearing the same stuff twice, once from Magoosh videos and once from MGMAT books, will deeply reinforce long-term learning. We had left the AWA Issue task videos up in case folks were curious about them —those will probably come down soon. Notice we have a full IR section of videos. 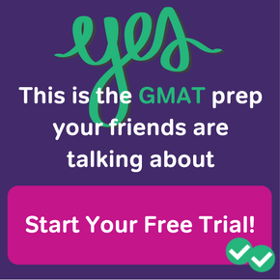 Magoosh will fully prepare you for the *current* GMAT. On idioms — are they a focus of the GMAT SC? Well, in the OG13, thirty-one of the 140 SC questions list “Idiom” as a topic —- that’s 22% of the SC questions in the OG. Are idioms the single most important topic on GMAT SC? No. But if you are a non-native speaker, you better know your idioms! I appreciate your probing questions. Glad to hear it. Best of luck to you. I have a question regarding your suggested 3 month study plan for advances students,I gave GMAT 4 years back and scored a 640 and I’m planning to give the exam again.I have been preparing for the last 1 -1.5 month and have completed the OG-11 & OG 12 and also I enrolled in the Knewton prep program which I have almost finished. Dear Taru: the MGRE books are very thorough — yes, they can be a good place to start for someone just beginning, but they have something to offer to almost anyone preparing for the GRE. If you learn everything in the MGRE books and everything Magoosh has to offer, you will be unstoppable.